A party isn't much of a celebration without music that fits the party's theme. Have songs specific to the occasion or theme to help set the mood and provide entertainment for guests. Choose a great song list and then decide how you want that music to be broadcast - through a deejay, band, or by doing it yourself. Pick your playlist based on your party theme. Whether you are celebrating Cinco de Mayo or have another reason for a fiesta, these tunes are likely to keep the party rolling. Be sure to play a mix of mariachi music and some popular Mexican favorites. Nothing can liven up a weekend like a dance party. Choose a good mix of up-beat tunes with some slower paced songs. Cowboy, western, or farm-themed parties are the perfect time for a hoedown. "All My Rowdy Friends Are Coming Over Tonight" - Hank Williams, Jr.
Jazz music is the perfect match to a sophisticated dinner party or great dancing music after cocktails. "Just the Way You Are" - Harry Connick, Jr.
Winter is the perfect time of the year to celebrate with a party. After you create the festive decor items and figure out the menu, its time to choose the tunes that will make the party merry. 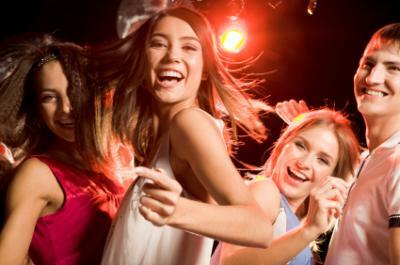 Mix some classics in with some more contemporary favorites in order to appeal to wide range of party goers. Your party tunes can come from a variety of places. Pick the one that fits your budget and location. 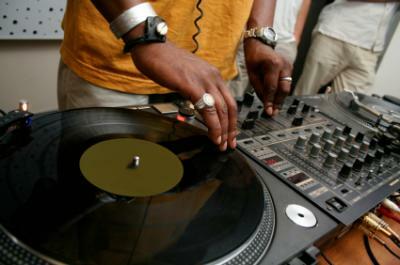 These professional record spinners are a great addition to many different types of parties, especially dance parties. Though this might be the most costly option, these professionals will not only keep the tunes going, but will also act as host for the evening to keep the event running smoothly. 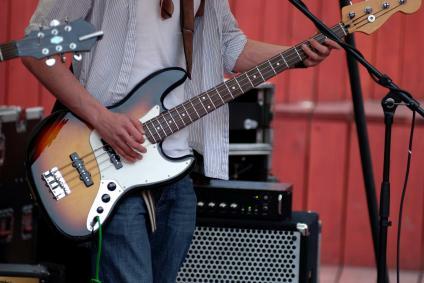 Live bands are another great way to keep the party rolling, as they not only provide music, but visual entertainment. The host should always be sure to listen to a few songs, see them perform live or few a video of a performance before hiring them. Scan your collection of CDs and music files for appropriate music. CDs and computer files (or iPod selections) are best because they can be set for continuous play. If you don't have the right music, or enough music, in your own collection, ask friends to create their own playlists or CDs to supplement your songs. Utilize other inexpensive resources like local music consignment stores, or local thrift shops for additional tunes. No matter what type of music is being played, it's wise to be courteous to neighbors and others who might be disturbed by excess noise. Plan the party at a time when it will be the least offensive, such as the early evening and try to keep the volume down. Be sure to end the party at an appropriate time so the music doesn't keep the neighbors awake.